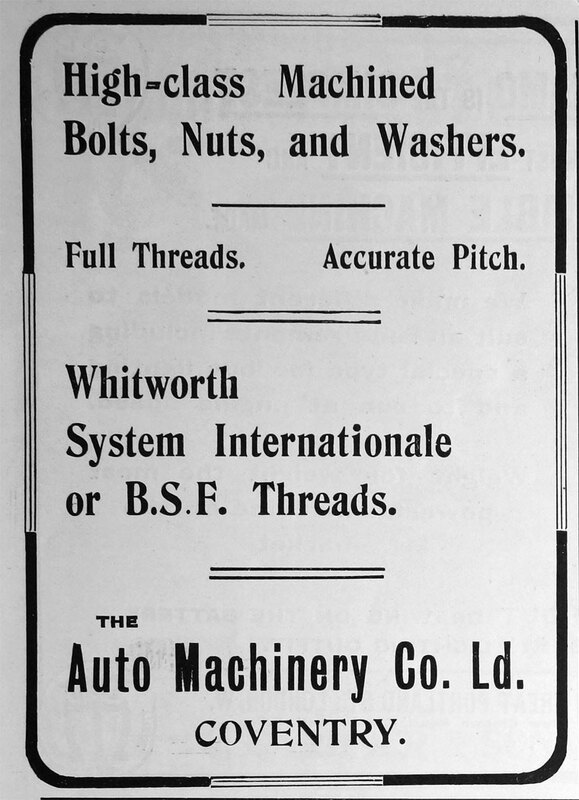 1886 Company founded by William Hillman and George Sumner. 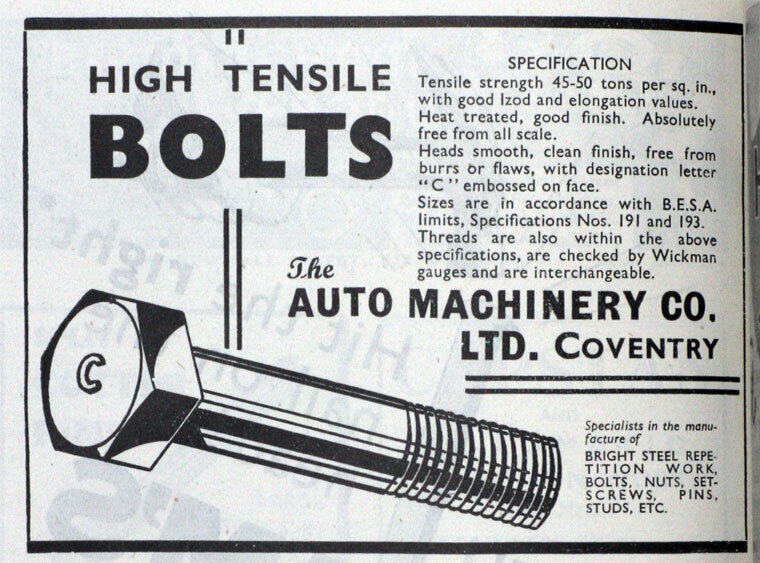 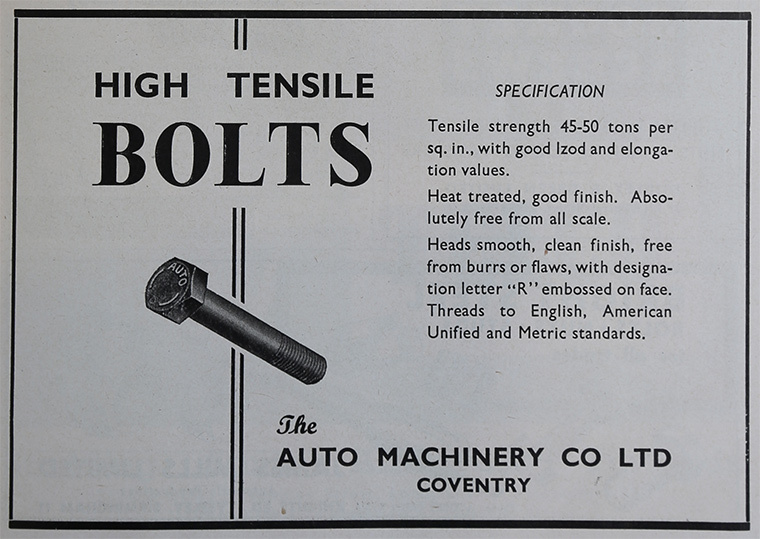 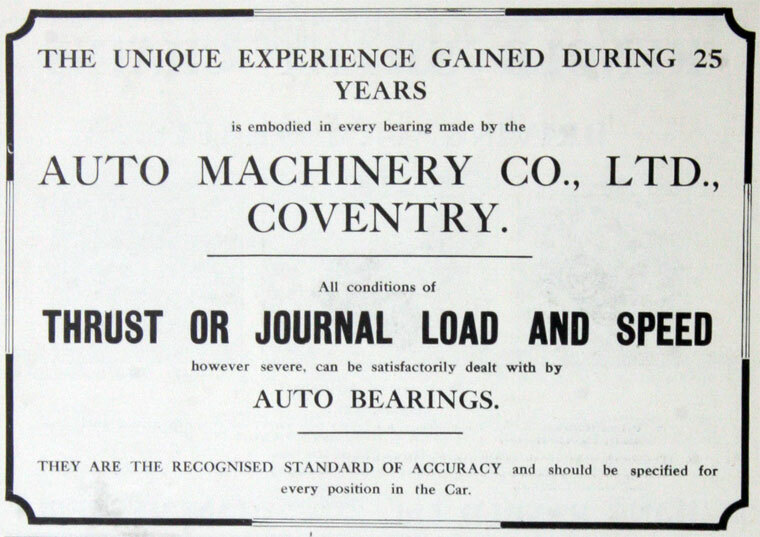 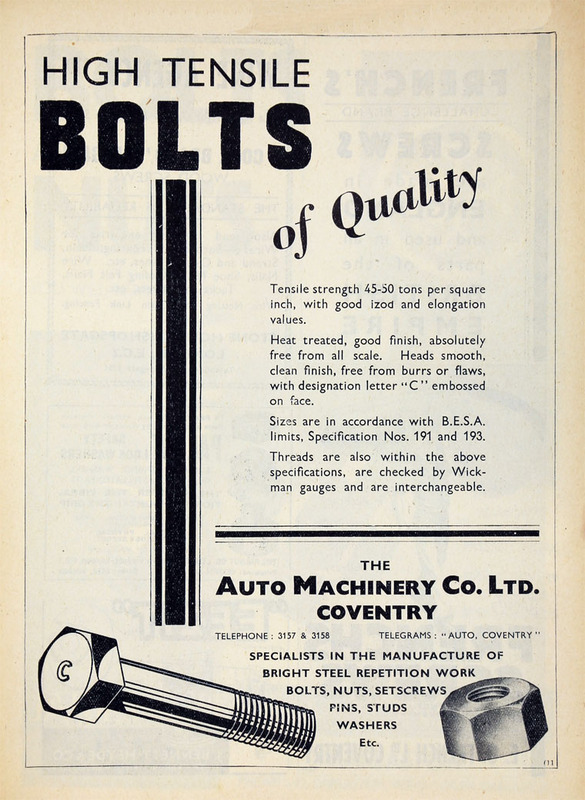 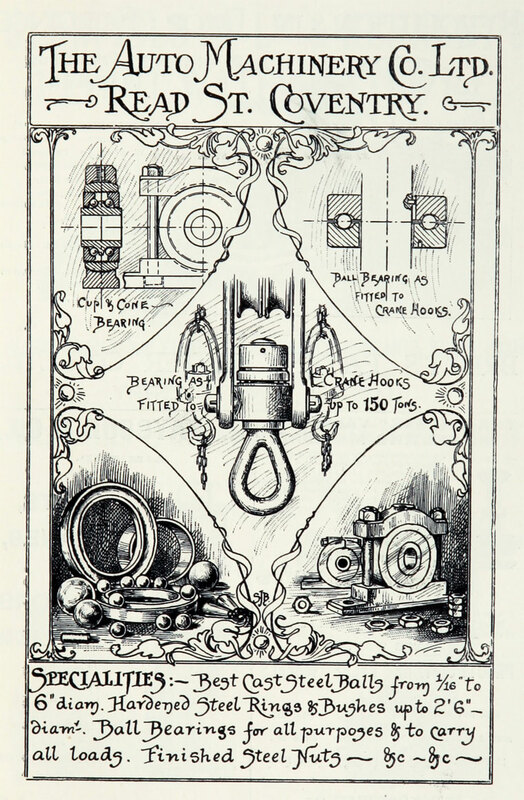 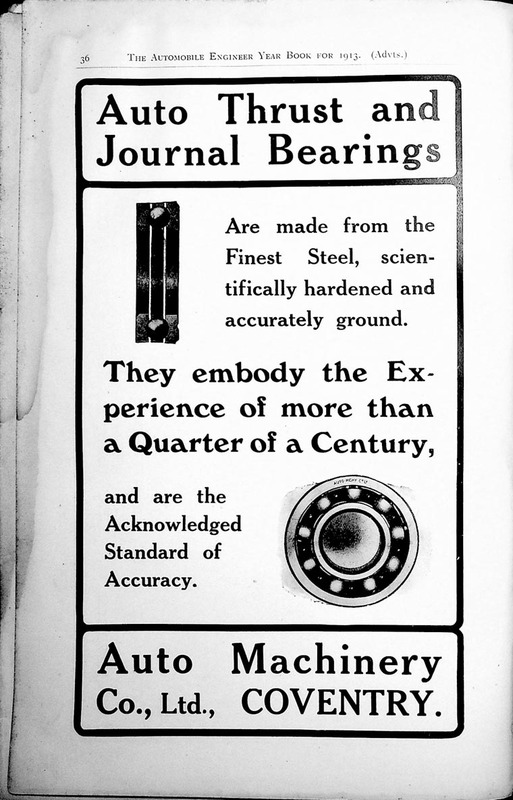 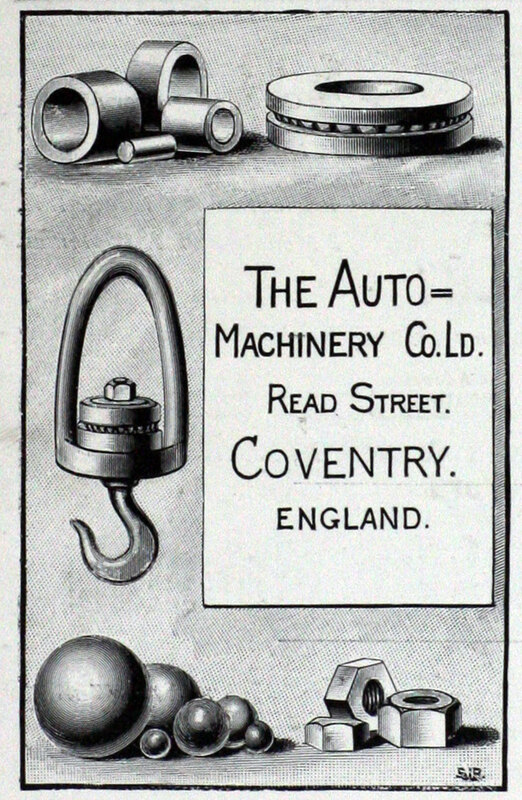 1887 Auto Machinery Co Ltd launched. 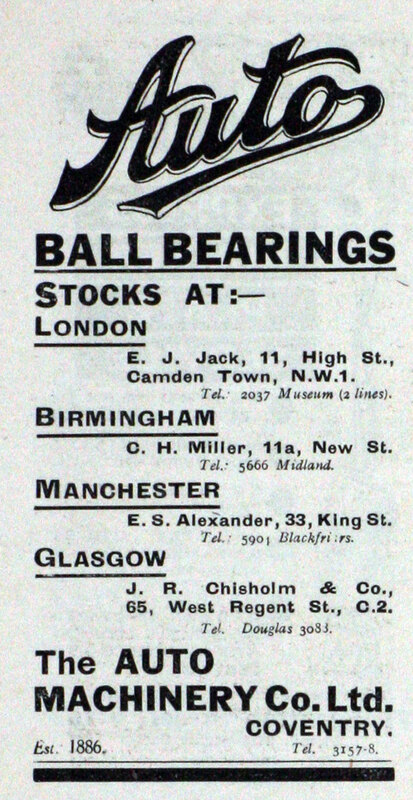 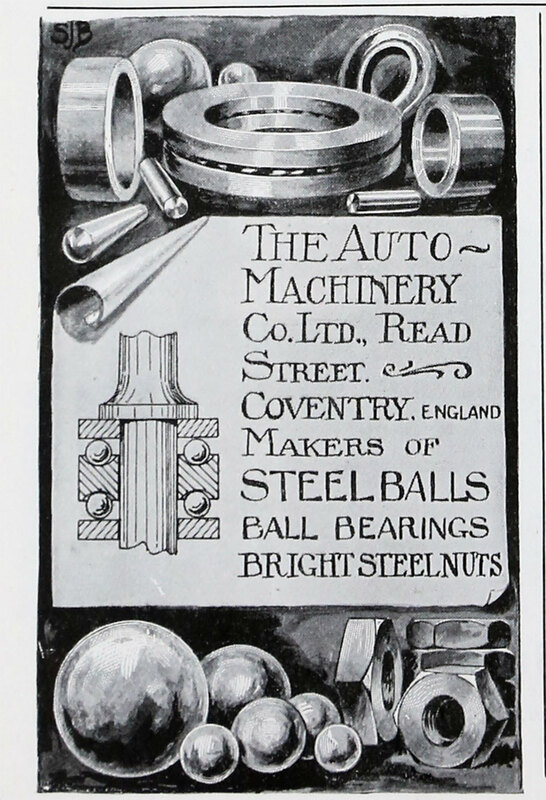 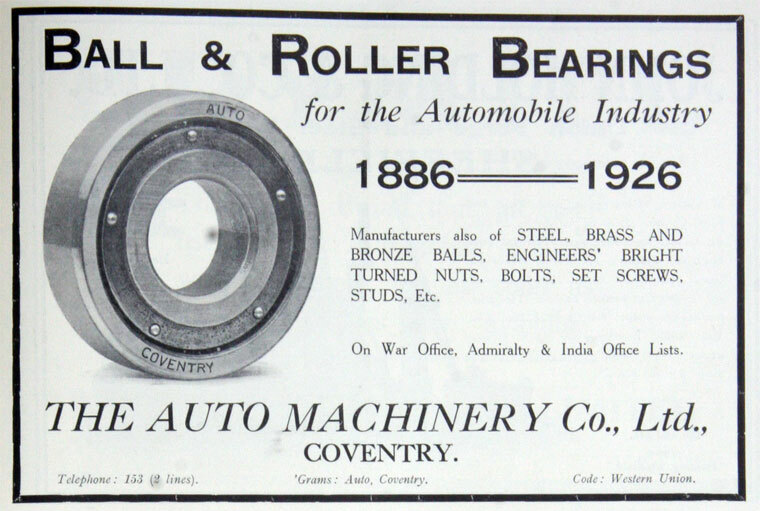 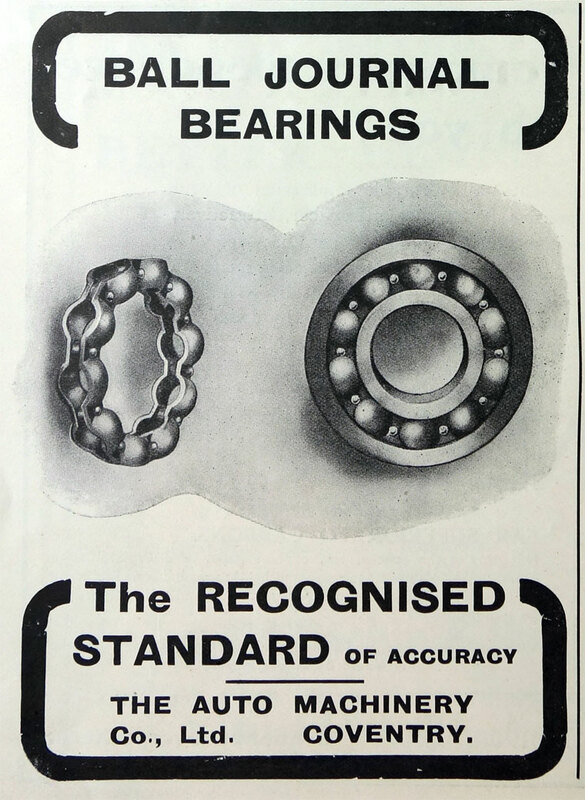 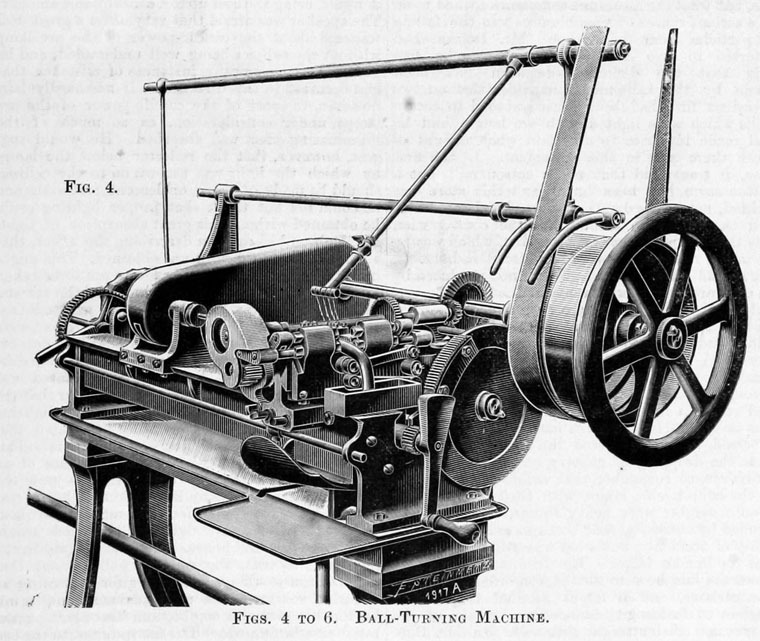 1893 Hillman's ball-bearing making machinery was first made in Coventry by Auto Machinery Co .
1896 Manufacturer of balls and nuts for cycles . 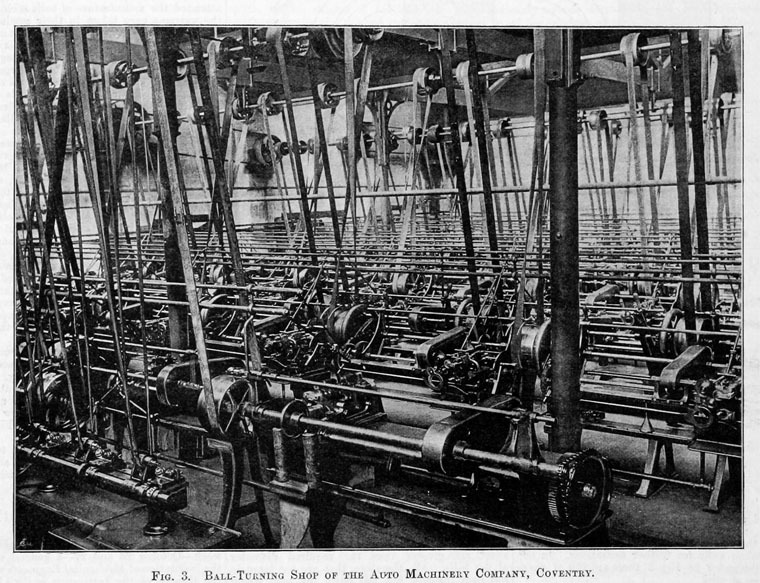 Production of 80,000 balls a day; supplied many cycle manufacturers.